Your dog will not stand in front of the mirror worrying about her complexion, but acne can cause her a lot of discomfort all the same. When oil glands on the dog's face is blocked, pimples and blackheads are formed. These pimples and blackheads can develop into acne when they get infected. Acne is a deep bacterial infection of the skin, and can be found on a dog's lower lip, chin, and muzzle, and sometimes on the belly. Usually the infection is low-grade, but can cause the skin to become crusty, sore, and itchy. The dog's chin may also become swollen and inflamed. What Causes Acne to Develop on Dogs? For some reasons, acne is seen almost exclusively in large breeds of dog with short hair, such as dobermans, boxers, pugs, rottweillers, great danes, mastiffs, and German short-haired pointers. This dog skin problem usually plagues dogs in their "teenage" years. Generally speaking, puppies from 3 months of age and above can get acne. Hormonal imbalance especially in young dogs and puppies which can be associated with puberty. It is also believed that poor grooming and hygiene can contribute to the formation of acne in dogs and puppies. Unless your dog's acne is severely infected, most bouts of puppy acne and pimples can be treated at home. Cleaning the affected area daily with warm water is essential. The warm water can open up the clogged pores and clean out dirt. Use a soft cloth soaked with warm water as a compress and hold it against the affected area until the cloth becomes cool. After that, use an antibacterial soap for pets to wash your puppy's face to get rid of the bacteria in the pores. Calendula: Calendula is excellent for healing wounds and preventing infections. Use a tincture of Calendula (add 6 to 7 drops of the tincture to one ounce of water). Apply the diluted herbal tincture with a cotton ball to the affected areas twice daily. Aloe Vera: Aloe vera is antibacterial and has astringent properties as well. The gel-like juice of this herb cools and soothes the skin and helps kill bacteria. You can apply aloe vera gel on your puppy's acne several times a day after washing her face. Nettle: You can make an herbal tea using nettle leaves and apply the tea to the affected area as well. Nettle nourishes the skin and alleviates discomfort caused by skin conditions such as acne, eczema, hot spots, etc. Black or Green Tea: Tea has astringent and anti-itch properties. Applied topically, tea can help alleviate itching and reduce infection. Apple Cider Vinegar: ACV also has antiseptic and antimicrobial properties. Dilute ACV in warm water (50:50 ratio) and apply the diluted ACV to the acne with a cotton ball. 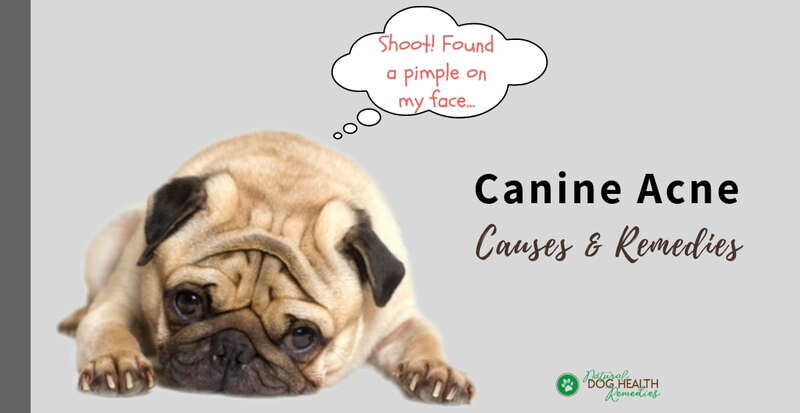 Very often, dogs and puppies with acne have imbalanced or weakened immune systems, causing toxins to build up in their bodies. It is therefore essential to eliminate acne from the inside out. Use tonic herbs to remove toxins from the body and strengthen the immune system of your dog. 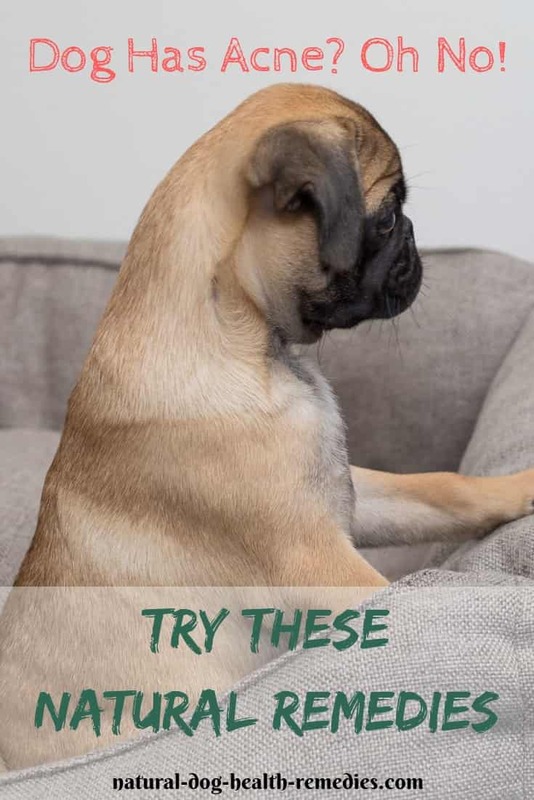 Excellent herbs that can detoxify a dog's body include Burdock Root, Oregon Grape, Sarsaparilla, Red Clover, and Echinacea. These herbs all have blood purifying and cleansing functions. In addition, Echinacea is effective for strengthening the immune system and curbing infections. This herbal formula contains the herbs mentioned above and more. 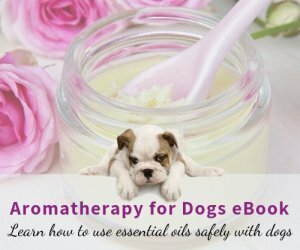 It is excellent for purifying and cleansing a dog's blood and strengthening the immune system so that skin problems such as canine acne can be prevented or treated from the inside out. Coconut oil has powerful antibacterial, antiviral, and antifungal properties. It also has anti-inflammatory functions and can ease itchy skin irritations and inflammations caused by infections such as acne. As such, coconut oil is a good supplement to give to your dog for acne. 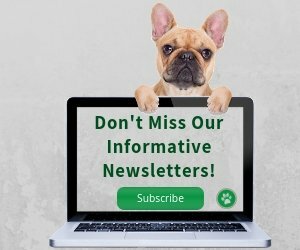 Please see this page for more information and how much coconut oil to give to a dog. The flower essence Crab Apple is an effective remedy for toxicity and infections. It is often used by holistic veterinarians to fight acute or chronic skin problems, such as acne, eczema, mange, etc. The remedy can be given orally in your dog's mouth. (Dosage: 3 to 4 drops 3 times a day). Some homeopathic remedies are also extremely effective in getting rid of acne on your dog. 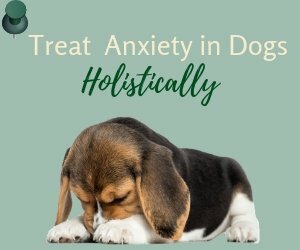 Consult a holistic vet if you would like to use homeopathy. Effective remedies include Hepar sulph which is a major remedy for painful inflammatory conditions and Silicea which is good for skin troubles. Do not squeeze the pimples - It can be painful for the dog. More importantly, it will cause bacteria to spread beneath the skin, causing a deeper infection. Do not use acne medication made for people on your dog.